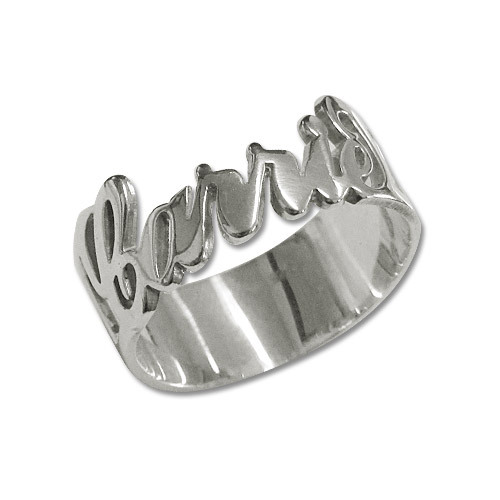 Personalized Cut Out Sterling Silver Name Ring. It time to show off your name in bling with a ring. You go girl fashion way! You can have your name as a cut-out and shaped as a ring. What wrong in having your name in bling. Ring your name out in Hollywood Style. Fashion is your passion. The ring is cut out with your name shaped as a ring. Made in real Sterling Silver 0.925. Height of letters: 5-8 mm / 0.2"-0.3"